Literary Lindsey: It's Monday and it's almost Christmas? Not ready for Christmas, got lots of wrapping to do. My prayers go out to Newtown too. I haven't seen that cover of WallyL before, I love it. I have a 5 year old also and honestly can only think of being in shock, completely dazed, was a tragedy. I think I'm going to be picking up some lighter reads now too. How are you enjoying your Christmas read?? I have yet to read the Wally Lamb book but I want to. Tough week for sure. I think I've read all of his books now. Time to get writing, Mr. Lamb! 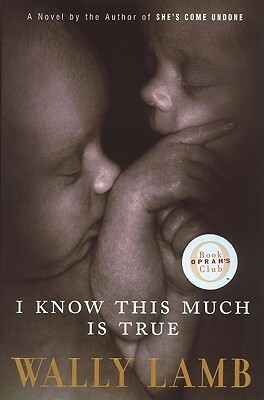 I read that Lamb book so long ago that I can't remember much of it :( That makes me sad because I know that I enjoyed it. For Her Own Good sounds like something I would LOVE. I'm going to keep my eyes open for that one. That's the thing I love about blogging. I'm no longer saying, "I loved that book, but I can't remember why!" I don't read very much nonfiction. I think the one you chose would only make me angry. Have a great holiday season! My Monday report is here. Happy reading! It can certainly be infuriating, but it's also very interesting and it really makes your reconsider the ways in which we have taken the experts' word as law in areas like medicine and childcare. I remember liking I Know This Much is True. I look forward to reading your thoughts. I also went to a funeral this week of a 17 year old who committed suicide. What a week. He took his life the day before the Sandy Hook tragedy. I don't even know what to think about the whole thing. I'm horrified, but I almost can't even process it. I'm so sorry you for your loss. It's unfathomable that we should be mourning these children, whether they are five or seventeen. My friend recommended it to me. I'm excited to start reading! Age of Miracles is on my to-read list as well. After the tragedy in CT, we could use an Age of Miracles! 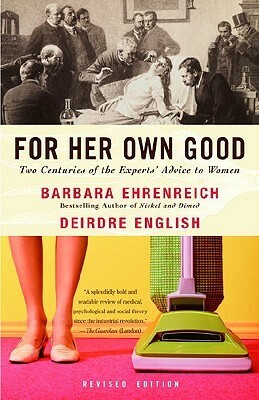 Wonderful title, hope the book lives up to the expectation. A Christmas miracle would be good right about now, wouldn't it? For her own good sounds great, I'd probably be shouting at the page though! It does create that reaction from time to time. More often, I turn to my husband and say, "Can you believe this?" Then I read him a few sentences and we both have a good (and horrified) laugh. 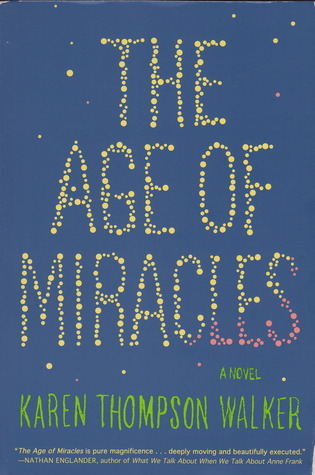 The Age of Miracles has such a cute cover :) I would pick it up based on that alone! I'm also extremely saddened and horrified by the events last week in Connecticut. I have no children of my own, but I can only imagine how terrifying it would be to have a child right now. I pray daily that we won't know these kinds of tragedies in the future. I was considering it, but I decided I had to read it when my best friend said it was great. I have heard amazing things about The Age of Miracles. Enjoy!